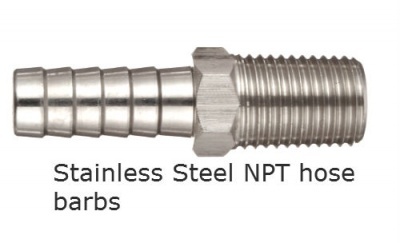 Conex offers the full range of Stainless Steel NPT hose barbs from 1/8" NPT to 2" NPT threads. All Stainless hose barbs are perfectly machined on automatic machines. The larger sizes of Stainless Steel hose barbs are cast and machined for efficiency.